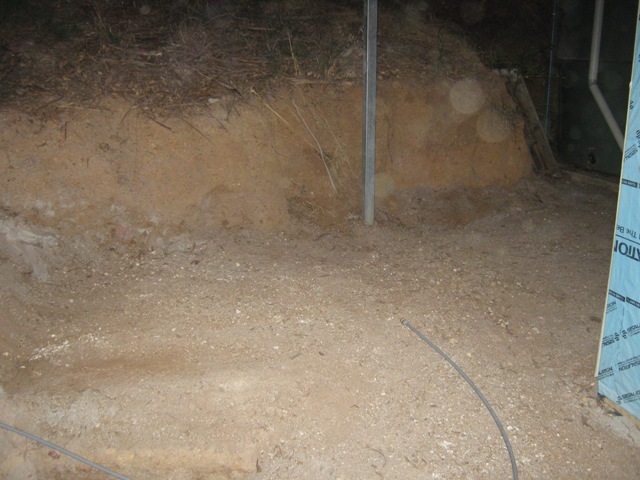 After all the pipe laying and trenching in the workshop area - we had quite a pile of dirty soil left over. This was a mixture of clay lumps and Boral Quarry Dust. Laurent and Deborah worked through this - sorting it out in to clay and mainly grey fill. These were then shovelled in to separate heaps. Finally the workshop area is turning in to a flat, level plot of land.